Brett Eibner does not have any MLB stats for the season. Draft: 2010, Kansas City Royals, 2nd rd. 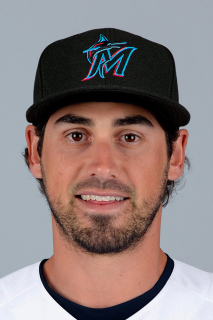 March 19, 2019 Down East Wood Ducks released RHP Brett Eibner. March 19, 2019 Texas Rangers released RHP Brett Eibner. March 15, 2019 RHP Brett Eibner assigned to Texas Rangers. October 9, 2018 Down East Wood Ducks activated RHP Brett Eibner from the 7-day injured list. September 2, 2018 Down East Wood Ducks placed RHP Brett Eibner on the 7-day disabled list. August 24, 2018 RHP Brett Eibner assigned to Down East Wood Ducks from Frisco RoughRiders. August 2, 2018 Frisco RoughRiders sent CF Brett Eibner on a rehab assignment to Spokane Indians. July 24, 2018 Frisco RoughRiders sent CF Brett Eibner on a rehab assignment to AZL Rangers. April 5, 2018 CF Brett Eibner assigned to Frisco RoughRiders from Round Rock Express. December 21, 2017 Texas Rangers signed free agent CF Brett Eibner to a minor league contract. December 21, 2017 CF Brett Eibner assigned to Round Rock Express. September 2, 2017 Los Angeles Dodgers released LF Brett Eibner. September 1, 2017 Los Angeles Dodgers designated LF Brett Eibner for assignment. July 8, 2017 Oklahoma City Dodgers placed RF Brett Eibner on the 7-day disabled list. June 24, 2017 Oklahoma City Dodgers activated CF Brett Eibner from the 7-day disabled list. June 17, 2017 Oklahoma City Dodgers placed CF Brett Eibner on the 7-day disabled list retroactive to June 16, 2017. June 9, 2017 Los Angeles Dodgers optioned CF Brett Eibner to Oklahoma City Dodgers. May 19, 2017 Los Angeles Dodgers recalled Brett Eibner from Oklahoma City Dodgers. May 15, 2017 Los Angeles Dodgers optioned CF Brett Eibner to Oklahoma City Dodgers. May 10, 2017 Los Angeles Dodgers recalled Brett Eibner from Oklahoma City Dodgers. April 25, 2017 Los Angeles Dodgers optioned CF Brett Eibner to Oklahoma City Dodgers. April 24, 2017 Los Angeles Dodgers recalled Brett Eibner from Oklahoma City Dodgers. April 23, 2017 Los Angeles Dodgers optioned CF Brett Eibner to Oklahoma City Dodgers. April 19, 2017 Los Angeles Dodgers recalled Brett Eibner from Oklahoma City Dodgers. March 22, 2017 Los Angeles Dodgers optioned CF Brett Eibner to Oklahoma City Dodgers. January 25, 2017 Oakland Athletics traded CF Brett Eibner to Los Angeles Dodgers for 3B Jordan Tarsovich. January 20, 2017 Oakland Athletics designated RF Brett Eibner for assignment. August 5, 2016 Oakland Athletics recalled RF Brett Eibner from Nashville Sounds. July 30, 2016 Oakland Athletics traded CF Billy Burns to Kansas City Royals for CF Brett Eibner. July 30, 2016 Oakland Athletics optioned CF Brett Eibner to Nashville Sounds. July 29, 2016 Kansas City Royals optioned Brett Eibner to Omaha Storm Chasers. June 29, 2016 Kansas City Royals recalled Brett Eibner from Omaha Storm Chasers. June 25, 2016 Kansas City Royals optioned CF Brett Eibner to Omaha Storm Chasers. June 16, 2016 Brett Eibner roster status changed by Kansas City Royals. June 9, 2016 Kansas City Royals sent CF Brett Eibner on a rehab assignment to Omaha Storm Chasers. May 26, 2016 Kansas City Royals recalled CF Brett Eibner from Omaha Storm Chasers. March 14, 2016 Kansas City Royals optioned CF Brett Eibner to Omaha Storm Chasers. November 20, 2015 Kansas City Royals selected the contract of Brett Eibner from Omaha Storm Chasers. August 25, 2015 Omaha Storm Chasers activated CF Brett Eibner from the 7-day disabled list. August 19, 2015 Omaha Storm Chasers placed CF Brett Eibner on the 7-day disabled list. Left thumb contusion. May 19, 2015 Omaha Storm Chasers activated CF Brett Eibner from the 7-day disabled list. April 23, 2015 Omaha Storm Chasers placed CF Brett Eibner on the 7-day disabled list. January 26, 2015 Kansas City Royals invited non-roster CF Brett Eibner to spring training. September 1, 2014 CF Brett Eibner assigned to Omaha Storm Chasers from Wilmington Blue Rocks. August 20, 2014 CF Brett Eibner assigned to Wilmington Blue Rocks from Omaha Storm Chasers. March 28, 2014 CF Brett Eibner assigned to Omaha Storm Chasers from Northwest Arkansas Naturals. March 13, 2014 OF Brett Eibner assigned to Kansas City Royals. May 16, 2013 Northwest Arkansas Naturals activated CF Brett Eibner from the 7-day disabled list. April 29, 2013 Northwest Arkansas Naturals placed CF Brett Eibner on the 7-day disabled list retroactive to April 28, 2013. March 29, 2013 CF Brett Eibner assigned to Northwest Arkansas Naturals from Wilmington Blue Rocks. March 8, 2013 CF Brett Eibner assigned to Kansas City Royals. April 13, 2012 Brett Eibner assigned to Wilmington Blue Rocks. March 6, 2012 CF Brett Eibner assigned to Kansas City Royals. June 8, 2011 Kane County Cougars activated CF Brett Eibner from the 7-day disabled list. April 12, 2011 Kane County Cougars placed CF Brett Eibner on the 7-day disabled list. Thumb injury. April 4, 2011 OF Brett Eibner assigned to Kane County Cougars from Idaho Falls Chukars. March 7, 2011 OF Brett Eibner assigned to Kansas City Royals. August 17, 2010 Brett Eibner assigned to Idaho Falls Chukars from Kansas City Royals. August 16, 2010 Kansas City Royals signed CF Brett Eibner.